ArtistWorks: What inspired you to seek out a vocal lesson? Paul Gilbert: Jeannie and I did some jamming together at the NAMM show, and her singing was amazing. She is a master of her instrument, and also a great teacher… I have seen some of her ArtistWorks vocal lessons, and I wondered what kind of doors she could open for my own singing. AW: Had you had formal vocal training before? PG: I’ve taken a vocal lesson here and there over the years. But most of my “training” has just been playing with bands or singing my own songs. AW: What the biggest challenge you have with singing? PG: Oh man, everything! Pitch, tone, trying to reach high notes, trying not to blow out my voice after the first two shows of the tour, and just trying to sing in a way that I’ll be proud to put on a record and play for people. AW: A lot of musicians are not comfortable singing at all, how comfortable are you with your singing voice? PG: I’ve always wanted to sing. My parents had most of the Beatles records when I was a kid, and I was always singing along with those… and Elton John, I wanted to sing like him too. And then I got into hard rock and heavy metal. Those singers sang high. I kind of gave up singing that style after a couple attempts at Led Zeppelin. But I’ve always sung harmonies in bands, and when I write my own songs, I can build them around my voice. AW: How was Jeannie to work with? PG: One hundred percent great. It’s rare to find someone who performs as well as her… and who can also break things down and communicate as a teacher. Those are really different skills, and Jeannie is world-class at both. And she’s just a cool lady. It can be scary to work on something when your body is the instrument. I can’t blame my guitar. If I sing out of tune, it’s me! And I trusted Jeannie immediately. I could tell that she was there to help. AW: Did you start the session with a specific issue/challenge or did you go over overall technique? PG: Jeannie asked me what I was interested in working on, and she listened to me sing some songs that I prepared. She taught me some specifics about “the instrument”… the parts of the body that make singing possible… in the same way that I would talk to a guitar student about the bridge, the frets, and the strings. She was straight-forward and logical, and went slow enough where I could stop and ask questions. AW: Did you learn anything you can apply to your singing right away? PG: Oh yeah. Within a half an hour, I was singing the same song with much more ease, better tone, and better pitch. It was actually a little bit frightening! I’m very much used to struggling, and suddenly everything was so much easier! Sometimes I had to stop because I was laughing at how much better I was singing. AW: Did she give you things to work on? PG: There were definitely specific exercises that she showed me, as well as some mental tricks that really helped me to sing emotionally. My challenge now is just to do it. I know, from playing guitar, that it takes practice to build good techniques into habits. I need to take what Jeannie showed me and train myself to access those techniques automatically. It will take some time and practice, but it’s so much easier knowing that I’m heading in the right direction. Jeannie showed me very clearly that I can get a lot more out of my voice that I realized was there. Now, I’ve just got to do it. AW: Can you imagine how on-going singing lessons could benefit your performances? PG: I’ll bet that my audience would be much happier to hear me sing in tune! Seriously, I wish that I had known about Jeannie's vocal method a long time ago. I still need to do some practicing, but I’ll probably want to re-record all my vocal albums after this. 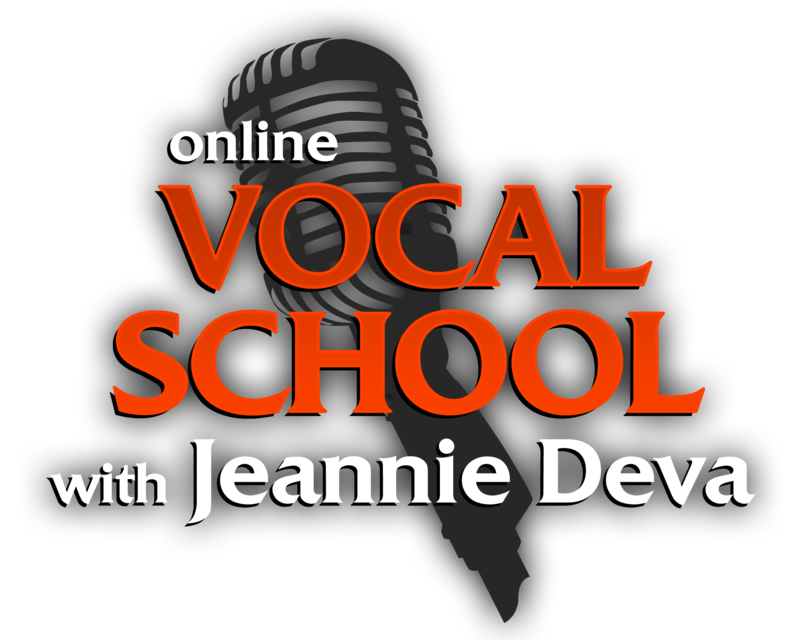 AW: Would you recommend Jeannie's vocal lessons to other professional musicians? PG: I think that a lot of people love to sing, whether they are professional musicians or not. And it’s a lot more fun to sing, when your voice is working the way it should. Jeannie knows how to make it work, and she makes it understandable and enjoyable. Highly recommended!